Bolt at BlackTie is a device-agnostic, modern responsive design that is customizable. It's designed to work well on desktops, laptops, tablets and mobile phones. 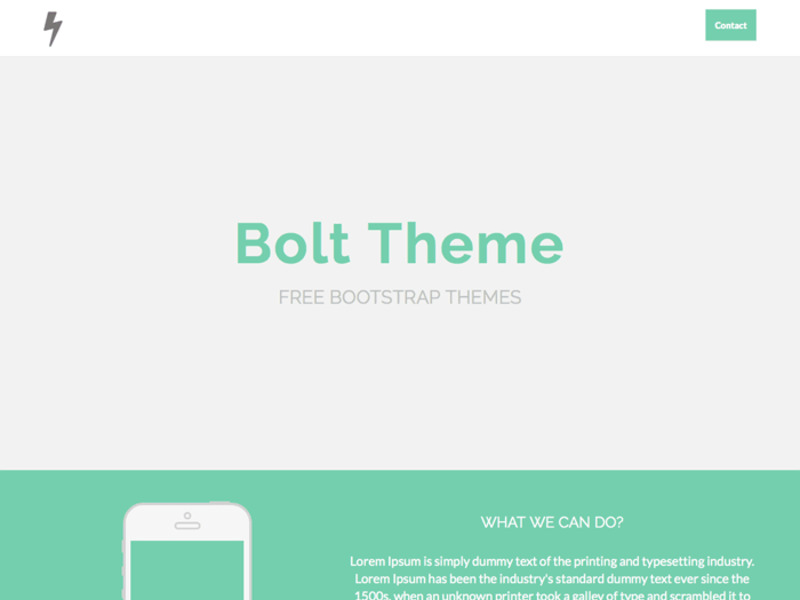 Bolt is a Bootstrap template from BlackTie. Bolt is an elegant option to show your work and contact information. A clean design with focus on information. Includes Font Awesome 4.0.3 & Chart.js script. The overall design was inspired by the awesome work of Jack Lalley. Dribbble shots used in this demo comes from the designer Justin Mezzell.